Is your “Honey-Do” list overflowing? Do your windows need caulking? Did your water heater give out? Is water flooding into your basement or garage? Is your roof leaking? Your furnace won’t heat? Your toilet won’t flush? 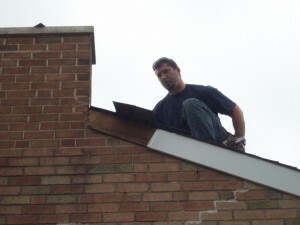 It’s time to call Everlast Building & Repair located in Bucks County, PA! The Everlast Building & Repair team is fully insured with Liability and Workmen’s Comp insurance. Our technicians will arrive at your home or business in uniform, ready to complete the work quickly and efficiently. You have our promise that we will leave your home or office in better condition than we found it. We are happy to recommend your work. You did a great job and exceeded our expectations. We highly recommend you and we will continue to use your services as needed in the future without hesitation. Provide us a list of projects and see how fast we can complete them for you! Our rates are affordable and our wealth of experience and creativity can’t be beat! There is no job too small and there is no list too long for Everlast Building & Repair. We deliver fast, friendly, quality craftsmanship with guaranteed satisfaction! Once your project is underway we work efficiently and carefully to complete the job. Our customers return over and over because we are “reliable, trustworthy, and professional.” While most of our clients are residential home owners, we also provide commercial repairs and rental property maintenance. We service Lower Bucks County, Northeast Philadelphia, Montgomery County, Burlington County and Mercer County.